Customize your Grand Canyon experience during this self-drive SUV day trip from Las Vegas. Explore one of America’s greatest natural wonders with a full tank of gas and a map and driving directions in hand. Enjoy the freedom of travel without timetables and follow your own schedule with this popular package. Minimum of two people required per booking. 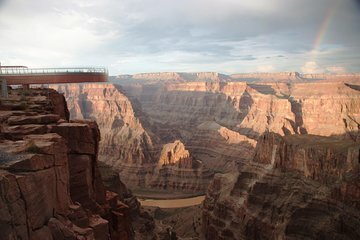 Independent-minded travelers can see the Grand Canyon's West Rim at their own pace. Upon arrival, you’ll be assigned an automatic SUV for your day of Wild West adventure. Take off on the open road with a full tank of gas and a map and directions in hand. Your route will take you past geographical icons like Lake Mead, the Hoover Day and the 900-year-old Joshua Tree Forest. 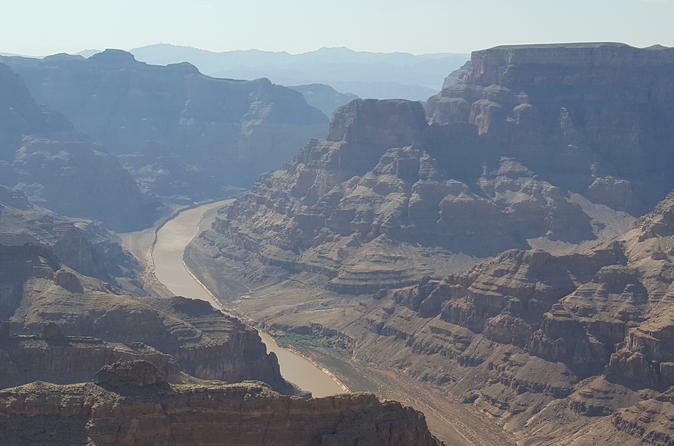 The final destination is the Grand Canyon West Rim, where you’ll have time to explore the open landscapes where the Hualapai Tribe lives, as well as Guano Point and Eagle Point at your leisure. With no timetables and a wide-open schedule, you’re sure to enjoy this customizable day that’s perfect for the independent traveler. • Helicopter/Boat - Take a helicopter ride to the bottom of the canyon, then enjoy a 15-minute pontoon boat ride on the Colorado River! Please note that there is a rough 13 mile dirt road that you will have to navigate on your way to the west rim. The driver must be 21 or over. Ages 21 - 24 must pay an additional USD27.99 payable direct. A minimum of 2 people per booking is required. If you make a booking for one passenger only, you will be charged for the second person at the time of check-in.